It's been a tough 2 weeks for me as I was busy mugging for my exams. I am so so so glad that they are finally over!! Anyway so here's a quick update on what's going on in my life right now! 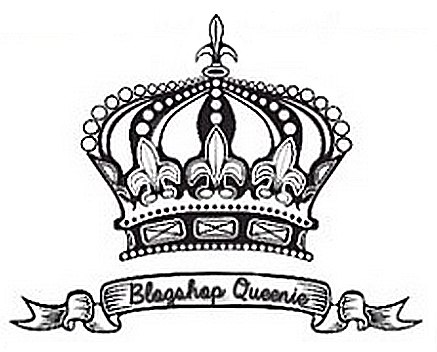 I have recently managed to acquire a sponsorship partnership with Blogshop Queenie and thus I will be featuring a couple of her products every 2 weeks! 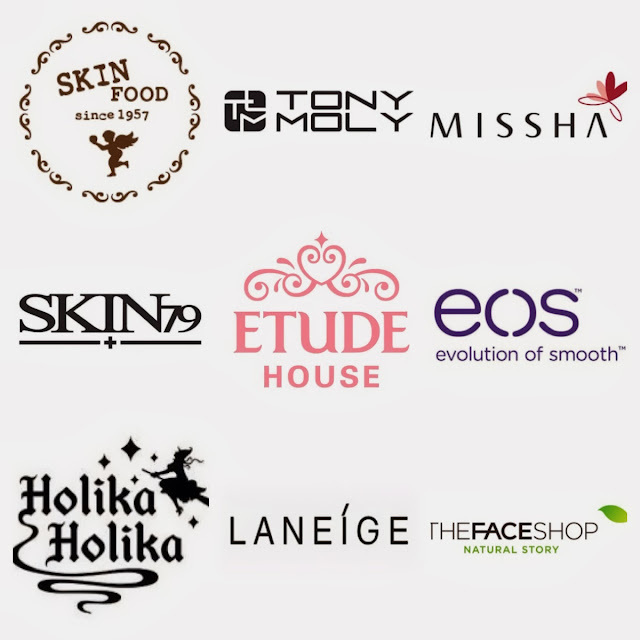 Most products that are brought in by Blogshop Queenie are not available locally (Singapore) and are imported from countries like Korea, Taiwan and USA! All of the products that are brought in by her are AUTHENTIC GOODS, certified by letters of authenticity from her suppliers! So fret not beauty lovers, and start shopping! 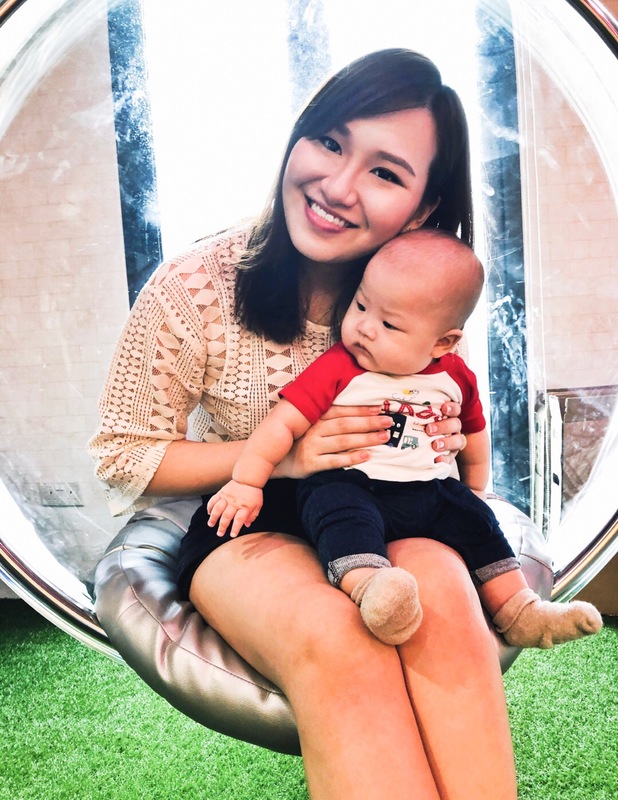 You might recognise some of these brands as they have their own flagship store in Singapore, hence you are probably wondering why you should purchase from Blogshop Queenie instead of simply getting it from the stores? Well for one, Blogshop Queenie offers the same products as the ones sold in the retail outlets at a much cheaper price! Plus it gets delivered to your doorstep (by your choice of postage)! Besides being the ambassador for Blogshop Queenie, I am also the technician (please term as 'Captain GEEK' instead) for the webstore! Therefore if any of you were to ever encounter any difficulties with the webstore, have any suggestions of improvement for us or any feedback (good or bad! 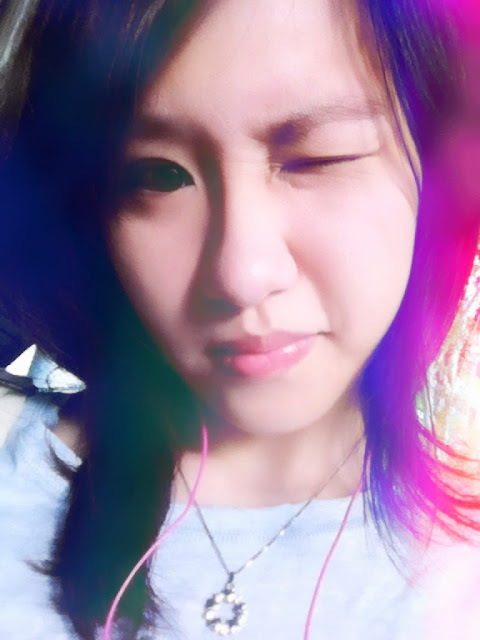 ), please feel free to contact me! P.S. I updated the webstore with new arrivals on the friday night that recently passed! Love clothes, but not a fashion blog? It struck me all of a sudden tonight, what am I doing on the internet? It was then that I realised that I was going through the internet, searching for FASHION blogs!!! I apologise if I seem to be creating a fuss out of nothing but I simply found this to be rather ironical and in a weird kind of way, a tad amusing. I spend a majority of my time on the internet looking for fashion blogs because I enjoyed looking at the way people throw their clothes and accessories together, and viola! The vibe that they accentuate through their clothes, it gives me this happy feeling! If I had to describe that happy feeling, I would say that it is like when "My Little Pony" fans see miniature figurines of "My Little Pony", and when "Hello Kitty" fans see that MacDonalds will be launching a special "Hello Kitty" dolls sales with each purchase of their value meal. It is really really hard to find anyone who knows any pokémon after the Kanto region, OK? Much less anyone who can tell me the names of at least 3 pokémons from the Isshu region (which is where the current season is held at). Whenever I get bored (either in lectures or when I'm on my way to/fro home and school), I would pull out my phone, open my instagram app, type '#lookingfor', '#fashion', '#sgsales', '#sgclearance', '#sgselling', '#sgblogshop' in the search box and then get occupied. The reason why I don't type '#ootd' is because rarely anything good ever comes out of it. If you don't believe in, go try it yourself. I just did that and the first photo that surfaced was a plump lady dressed in only her bra and a pair of white shorts, taking her self-shot in her bathroom with the aid of her bathroom mirror (ie. reflected self-shot). In conclusion, I guess the reason why I have a food blog is because I find it perfectly OK to pull out my camera and shamelessly snap it at a plate of food for a full 3-5 minutes. While I'm doing that, some other patrons at the restaurant look at me and my camera, and they start shaking their head and snigger at me silently in between their mouths full of food (yes, I do notice you people!). Ironically enough, I however lack of the guts to take a massive amount of self-shots even though I really would love to do so! Yes, I'm a unicorn baby! The 11th of July every month, is my mother's birthday. No mom should ever cook their own birthday meal for themselves (unless they insist of it) and so, like every other year, my mama gets a day-off from cooking on her birthday and my family would either eat out or get takeaway. 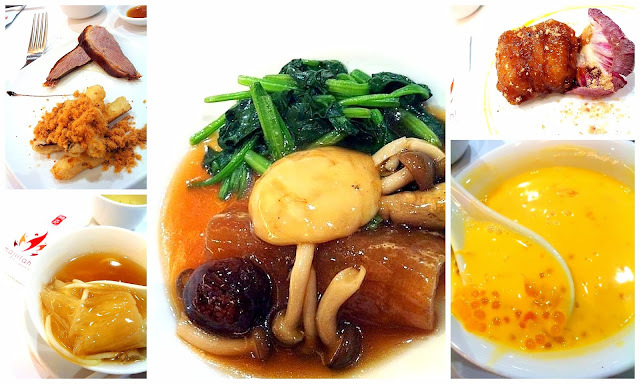 I'm sorry to say that I am unable to recall where my family went for my mama's birthday celebration dinner, but I do remember that in 2011, we went to Peach Garden Chinese Restaurant @ Thomson Plaza. A collage of some of the food that we ate that night. I would only recommend Peach Garden Chinese Restaurant for people who are looking for a fancy and luxurious dining experience, have a tiny appetite and a wallet that is either full with cash or credit cards. The waiters will serve you for every dish that arrives, regardless of how many people you have at the table. Your plates will be changed after every course and do be prepared to wait for quite awhile before your next dish is served. The total amount of food consumed at the end of the meal will probably(?) be sufficient for a moderate eater, but it will most definitely be insufficient for a hearty eater. That dinner that night was really really really expensive (it was a 3-digit figure for 4 pax). My family concluded on our car ride home that it was indeed a fine dining experience, however we would not patronise the restaurant again as our satiety centres were not satisfied at all. Anyway let's cut to the chase. 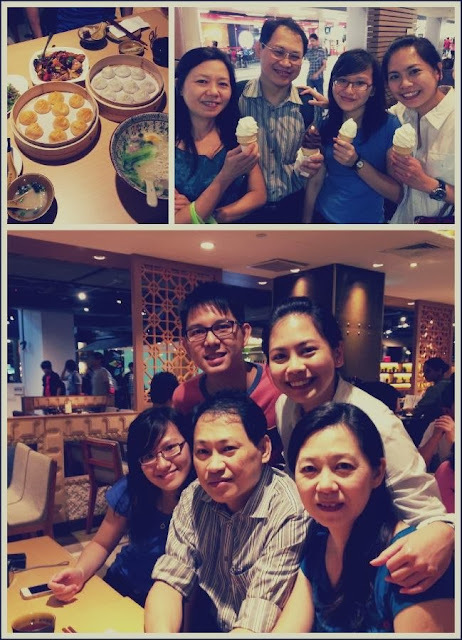 This year my family went to Paradise Dynasty @ Causeway Point to celebrate my mama's birthday! Before a hearty meal, always warm up your stomach first with something light. This is we have a category of food known as "appetisers". If you are looking for something to warm up your tummy before you dig into the feast that lies ahead waiting for you, this is your choice! However I must say that when compared to Ding Tai Fung's double-boiled chicken soup, this soup lacks of a certain 'something'. The soup base is fantastic - a thick broth cooked out of pork bones. The soup is so good that with each spoonful of soup that was put into your mouth, you can savour the amount of effort that the chefs in the kitchen have put into the soup, just for you. The beef brisket was stewed skilfully. It was soft and disintegrated in my mouth almost instantly, yet it could be picked up with a pair of chopsticks! I've gotta give it to the chef! The same awesome soup base was used here, except that this time I could almost fully taste the original flavour of the pork broth as there was no interference in taste from the stewed beef brisket. The noodles had a springy texture to it, which made it addictive! I just couldn't stop slurping it all up! The sliced beef was well-cooked as it retained its tenderness. We all need our greens in every meal! Tofu is one of my favourite food and it has excellent health benefits! Aww.. What's with that sour face? I'm so sorry but.. I'm still going to eat you!! 1. Tofu can lower cholestrol? 2. Tofu can help prevent certain types of cancer such as breast and prostrate cancer! And that's damn right true! Eat up all your tofu people!! I would say that this is wayyyyyyy better than normal gyozas! Only because, it has soup in it! Sink your teeth into these yummy dumplings with caution, because the precious soup would then start to spill out. If I have to make a comparison with Ding Tai Fung's xiao long bao, I would pick Paradise Dynasty's over it. I have had the opportunity to try Ding Tai Fung's xiao long bao in Singapore and in Taiwan, and I must say that the one we have here in Singapore, is a far cry from the one that I ate in Taiwan. I'm sorry to say this but Ding Tai Fung Singapore, you still have a loooooong way to go with regards to your xiao long bao! I initially thought that I would prefer the original xiao long bao over this, but I was wrong. This was unexpectedly good! I loved the rich flavour that was not overpowering, but just enough to make me fall in love with it! You can never go wrong with original flavour if you are too scared to try out the other flavours. In my opinion, if you are looking to satisfy your craving for xiao long bao, go try out the one at Paradise Dynasty! Now, what about some dessert? After spending so much on our dinner, it makes sense to cut back a little on dessert ya? Hahahaha! I decided to put this beloved blog of mine to the test by putting it up at Bloglovin'. It is also a means to improve my blog (in terms of design, content or any other feedback which I may get) and also, my writing skills. 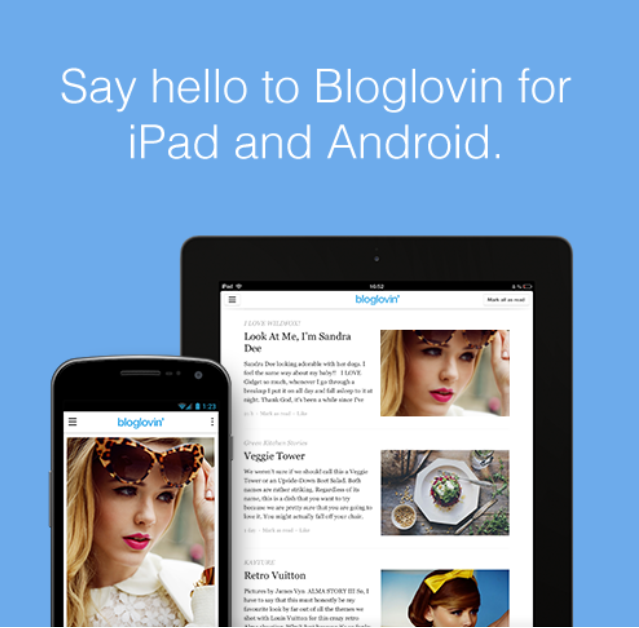 The best thing about Bloglovin is that they have an app for iPhones, Android or iPad! Easy reading on-the-go made possible! 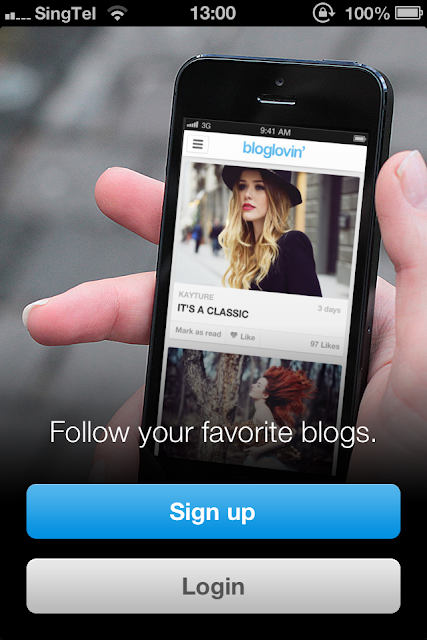 I haz the Bloglovin' app on my phone! 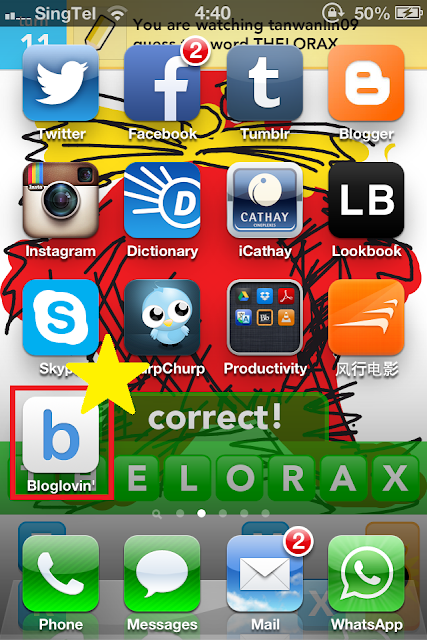 Create an account easily with Bloglovin' by sync-ing it with Facebook! Registration process simplified and made easy! Yay! Join me at Bloglovin by following me!